The Havanese is the national dog of Cuba, which is related to Bichon-type dogs from Spain. It is a gentle, friendly and affectionate pooch. Its nice temperament and small size make it a great companion for first-time owners and families with kids of all ages. Its long hair, which has self-insulating characteristics, is particularly challenging to maintain. Wondering if the Havanese will fit your personality and lifestyle? Here is a brief background of this Cuban dog with a lovely profuse coat that insulates efficiently. The Havanese is a breed that descended from Bichon-type dogs that arrived from Spain to Cuba in 1492. These dogs are descendants of Poodles, Portuguese Water Dogs and Water Spaniels. The Havanese, called Habanero in its native Cuba, deviated from the general characteristics of its ancestors and developed unique traits when it only interbred with local dogs due to trade restrictions Spain imposed on Cuba. One of which is its abundant and silky coat that insulates efficiently, making the breed extremely heat tolerant. Initially, its main job was to herd flocks of poultry. The Havanese became a favourite among aristocratic families during the early 19th century. European travellers took the breed back to Spain and then to England and France and gained more highborn following, including Queen Victoria and Charles Dickens. However, like most breed trends, its popularity faded mainly because of various wars. It almost became extinct even in its native country. The modern Havanese dogs come from the 11 remaining dogs brought to America in 1959 during the Cuban Revolution. Cuba’s national dog, the Havanese is registered with The Kennel Club under the Toy group. Weighing 7 to 13 pounds and standing 23 to 28 centimetres at the withers, the Havanese is a small and sturdy dog. It has a slightly rounded head with a moderate stop and rather short muzzles. It has big almond-shaped eyes that are either black or brown, depending on its coat, with a gentle expression. It has pointed ears that drop down slightly above its eyes. Its nose and lips are black with some brown dogs having pigmentation. It also has strong jaws with a perfect scissor bite. This Habanero boasts of a beautiful long, silky and hypoallergenic coat, which is wavy or slightly curled. According to KC standards, any colour or combination is permissible except for merle. 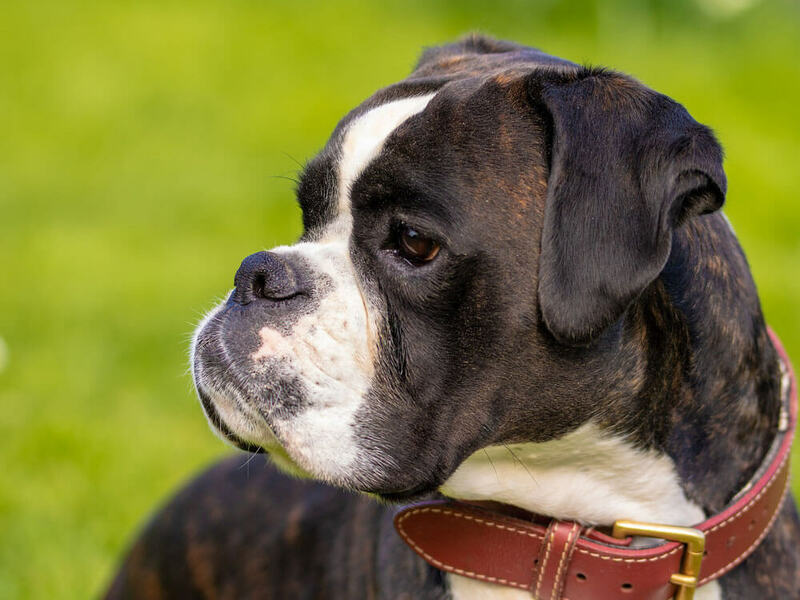 Aside from aesthetic purposes, its coat is meant to be long to keep the breed cool during hot weather thanks to its self-insulating characteristic. To be able to keep it in top shape, a lot of time and effort are needed such as daily brushing to prevent matting. It will definitely benefit from regular trips to the groomer’s. Aside maintaining a healthy and clean coat, you also need to pay attention to other grooming aspects such as its dental health, nails, and ears. Since the Havanese is prone to watery eyes, clean tearstains to avoid infections. If you notice your dog has excessive tearing, take it to your trusted veterinarian straight away. The Havanese is a friendly, lively, and affectionate pooch. It thrives on human companionship and would love nothing more than be with it owners. In fact, it has been dubbed as the Velcro dog because of this particular characteristic. Therefore, it is a clingy dog that tends to suffer from separation anxiety. This dog can live in any environment as long as it stays indoors with the family. It has a tendency to bark even at passers-by, which should be corrected early so it does not turn into a bad habit. The Havanese is not only famed for its gorgeous appearance but also for its gentle and loving nature to everyone including kids of all ages. As owners, parents must teach their children how to treat dogs to avoid accidental physical harm. This breed generally gets along with other animals, including cats especially when raised together. It is a great choice for first-time owners. Gentle and affectionate especially to family members, the Havanese is not only a lapdog. It is actually an intelligent dog that excels in dog sports. Since it is highly trainable, energetic and eager to please, the Havanese can take on dog jobs like assisting the handicapped. Ironically, housetraining may seem like the most basic lesson but this can be challenging for the breed. Patience and consistency are important and accidents should never be tolerated just because they are easy to clean up. A typical serving for an adult Havanese is 1/2 to 1 cup of excellent quality dry dog food per day. Since each dog has unique needs, the amount of food and frequency of feeding depend on its age, size, build, exercise needs, and metabolism. Learn the basic nutritional needs of your Havanese as a breed as well as its individual characteristics. Make sure to feed this toy dog excellent quality dog food formulated for small dogs as it has different nutrient needs than larger breeds. Dry kibbles containing animal protein (beef, lamb, chicken, and turkey) promote chewing and would help prevent dental problems in small breeds. Tiny breeds are known to be healthier than large ones and the Havanese is one tough cookie, health-wise. In fact, its average life expectancy is 14 to 16 years and its chances of developing hereditary health issues are slim. That being said, make sure to never take its health for granted and pay particular attention to its diet. Like any breed, the Havanese needs sufficient exercise to be happy and healthy. For this tiny and lively breed, at least 30 minutes of physically and mentally stimulating activities will do, making it an ideal breed for people with sedentary lifestyles. Raising a dog in the UK, regardless of breed, is expensive. People need to understand that it is a big responsibility and taking care of it does not only entail feeding. First off, the cost of purchasing a well-bred pedigree Havanese puppy is between £1,000 and £1,200. Pet Insurance costs start at £20 a month. As a small dog, food only costs around £40 per month, while initial equipment and supplies will be around £200. A major expense you have to be prepared for is preventive veterinary care, which can easily add up to £1,000 a year. You also have to spend on grooming services, which cost £20 or more, depending on your location, service/s availed, etc. Is a Havanese Right for You? The Havanese is an ideal dog for people looking for smaller breeds with a gentle and affectionate nature. This breed is a lap dog that can live in any environment as long as it stays indoors with its family. It suffers from separation anxiety and can become noisy. It only requires 30 minutes of exercise per day. It has high grooming needs.